The two new coaches are covered in Issue 1483, 8 June, and on the website, so here I will concentrate on what ADL has achieved in the past year, what the challenges it faces are and how it plans to address them. I look forward to these meetings, not only because I’m keen to hear what will be said, but also because they give the opportunity to interact with the people making the decisions. Connecting with people at all levels is at the core of all that ADL does; the clear message was that meeting customer needs is what drives everything and if you are not talking to customers and potential customers you don’t know what they want to buy or how they want it to be supported. ADL clearly is producing what people want because it consistently wins a 45% share of the UK market, it has taken the lion’s share of the replacement business in Hong Kong of late, the North American operation is currently capacity constrained and new custom has been won in conquest markets such as Switzerland and Mexico. 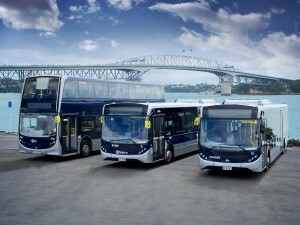 It is involved in ongoing fruitful partnerships with OEMs including BYD, BAE, Cummins, Scania and Volvo; is undertaking its most ambitious new product development programme ever, taking on additional engineers to do it; and redefining its aftermarket activities with the launch of AD Connected and adlparts.direct. Although the UK market had been tougher than predicted, overall revenues were £576m in 2017 with net profit of £19.7m and are heading for slightly over £621m turnover with net profit of £20.7m in 2018. Some years ago Colin told the press of his ambition to turn ADL into a £1bn turnover company, and that remains his target, though he admits that he won’t get there by 2020. “I’m not de-emphasising the target but it may take a little longer,” he said. 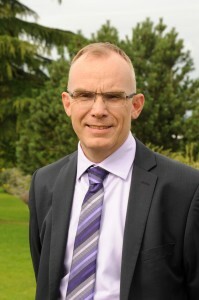 Achieving it would mean a combination of good performances in the UK, North America, Asia Pacific, developing markets, aftermarket growth and require focus on new product development, operational improvement and, as mentioned at the beginning of this article, getting connected. He stressed that ADL is an international business with manufacturing operations and build partnerships in: UK, USA, Canada, Malaysia, China and New Zealand. Asked later what percentage of ADL’s business will still be British when it got to £1bn turnover, he thought it would probably be around 40%, given that its best UK performance to date had been £356m in 2016. Noting that underlying demand in the UK is a clear issue that won’t change any time soon, it means that growth will have to come from international markets. 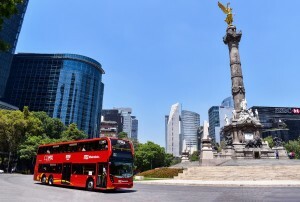 Looking at the UK market, he said that in 2018 to date, double-deck sales were down 40%, within overall bus sales down by 25%, which represents a real and significant risk to the industry. Colin explained that, since 2011, ADL has been following a simple model. It is a five-point virtual circle that starts with building reliable buses, goes on to continually improving the TCO (total cost of ownership) proposition, in order to build your reputation in the market, thereby maintaining and increasing your market share and ensuring customer retention, and thereafter repeat all the stages, improving all the time. 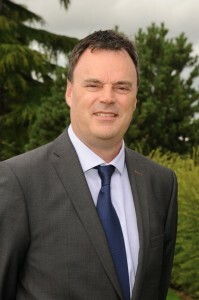 Emphasising the importance of electric vehicle sales, Colin Robertson said that EV sales ‘will transform our business in each of our markets.’ In the UK ADL won around 75% of the single deck EV market and it looked to retain that share as it went into the EV double deck market with BYD in 2019. He predicted that, internationally, ADL’s EV sales growth will be driven predominantly by North America, where the company is working on two electric strategies, one with a partner (not BYD) and one on its own. In a detailed examination of new product development, Group Engineering Director, Ken Scott, looked at work on powertrain updates for hybrids and EVs, energy efficiency and developments in safety and autonomy. He said ADL has increased the new product development budget by over 30% annually with 2018’s investment representing a record year, part of which is increasing the size of the team. Investment is set to increase further over the next three years. Key areas are fuel-efficient diesels and electric vehicles in the UK while, in America, it is in electric tri-axle buses. There is also the expansion of three-door, two-stairway double-decks into Europe and the Far East. ADL’s technology roadmaps focuses on energy efficiency and zero emissions, autonomy and connectivity, and the passenger experience. Systems include 48-Volt ‘mild’ hybrids, the first two of which have been retrofitted in National Express vehicles and have been running for two months, delivering savings of 4-5% over buses equipped with ADL’s Smartpack. A total 36 more buses are to be retrofitted and then installation of the system was to be extended to new build, with orders from Stagecoach, National Express (54) and Dundee (10). On full hybrid, the latest version with BAE Series E series hybrid technology and Ultracaps was launched recently and covered in B&CB. It delivers a 37% CO2 saving over Euro V hybrids, a 20% fuel saving, and is certified to both LEB and ULEB standards. Already 110 zero-emission electric E200EV single deckers developed with BYD using their electric technology are in service, with orders for a further 67 more to be built. Next year will see the launch of the double-deck equivalent, which will have a range of 200km (with electric heating) and a theoretical maximum range of 275km. This will have a battery capacity of 382kWh. A new system being developed is Auto Coast, which knows where the stops relevant to a route are and reduces torque as a stop is approached, preventing the driver driving all the way to a stop and then braking heavily. Real-world testing suggests it will generate fuel savings of between 7% and 11%, though on some work, the savings could be higher. As well as electric technology, ADL continues to refine its diesel buses in conjunction with Cummins. It is expected that a programme commenced at the beginning of the year will result in a diesel saving of around 5%. TfL is planning a new safety standard with regards to safe bus design and operation. Areas ADL has been working with TfL on include: AEB (autonomous emergency braking), pedal confusion, visual and acoustic conspicuity, improved driver vision and front end design for collision survivability. The new standard is expected to be published in the summer. Finally there is autonomy. At ADL, some level of this can be achieved; for use in parking at depots and at similar off highway locations, but full, on-road autonomy is still some way off. ADL has seen growth in its international business over the last five years, developing flexible models in each territory to meet the customer and market needs. Everything it does internationally is built on the best practice used in the UK with KPI’s based on UK practices. Some of the latest developments are the first Euro VI buses about to go into service in Hong Kong where the full product range of Enviro200, Enviro400 and Enviro500 are now available. 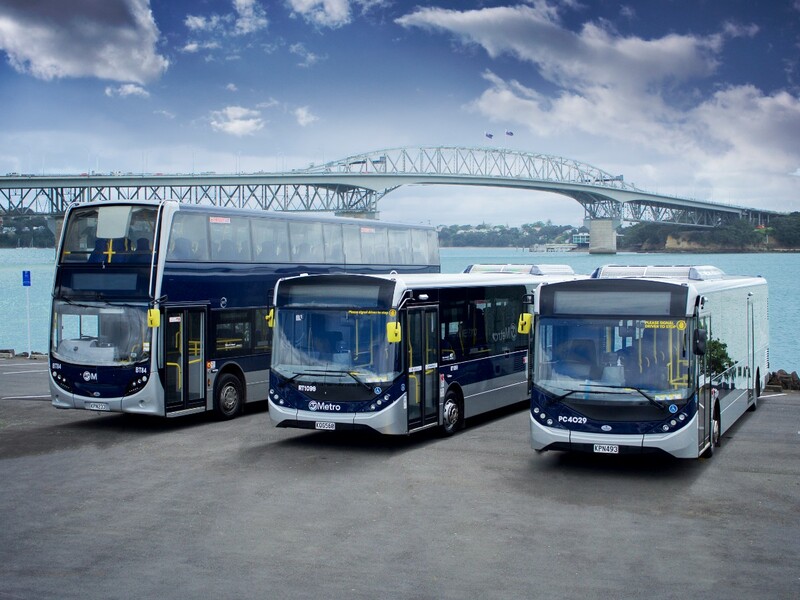 In New Zealand, the Enviro200EV has been launched and is starting a trial in Auckland. Mexico City now has all 90 of its Enviro 500s. In North America 100 Enviro500 SuperLo double decks are now in active service with Metrolinx where they are delivering greatest fuel savings of any vehicles in fleet. There is strong interest in EV with two separate projects underway. 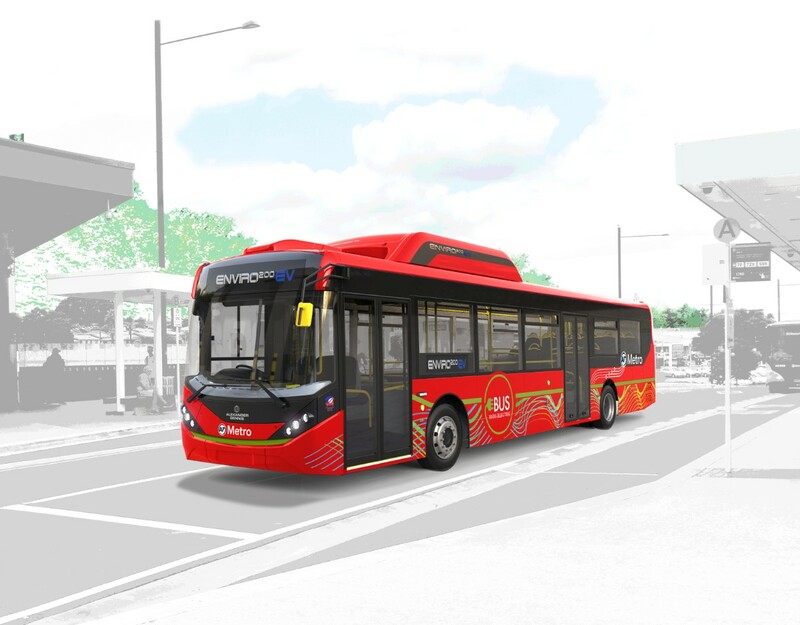 The first full Alexander Dennis Enviro200 buses will be completed in Nappanee next month, where the plant is being extended and 200 additional direct staff are being recruited, with further additional staff at the Toronto facility. Group Aftermarket Director, George McAdam, said that ADL’s aim is to remain the most responsive manufacturer in the industry as measured by customers. To achieve this, it will continue to drive lowest TCO for customers; embrace new technology to support its goals; continue on the journey of delivering class leading reliability, and drive customer value in everything ADL did. The business employs 350 people dedicated to aftermarket support, had 50 UK-based field service engineers, achieves 99% product availability constantly, provides 24/7 parts ordering and problem logging and iss totally focused on the bus and coach industry. ADL claims to be the only manufacturer that measures VOR and VRTS (vehicle return to service) data as a focus of its customer support. It measures the information over the course of a week and supplies it to operators as part of ADL’s sales offering. It has introduced an On Line Parts System with a state of the art, web-based sales system, an On Line parts manual, On Line service bulletins, Personal web stores and business to business EDI solutions. To assist with vehicle maintenance, AD Connected has been launched based on simple software. This is a modular software solution that works with all makes of vehicles. Designed with the help of operators, the flexible system is specifically developed for the bus and coach industry and works with all makes. During 2018 ADL intends to make a lot of progress on utilising Big Data, harnessing currently unstructured data. ADL have invested in this area using a dedicated app with the aim of making smarter decisions that benefit all parties, reducing costs and downtime. Though the meeting was both open and upbeat, it was clear that the challenges faced are significant ones. 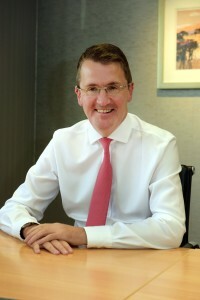 The ADL team is fully aware of this, with strategies and products in place to continue on the growth path that has been followed since Colin Robertson took the helm in 2007. With so much happening, ADL’s next business briefing update is going to be a very interesting one.